I’m fast becoming a sucker for a YA dystopian series with a fantastic cover. Perhaps I’ve read too many, or perhaps I love YA dystopian novels because they’re always so unique and interesting and they are can’t-put-it-down kind of books. I actually have to stop myself from reading more YA dystopias so this blog can remain a book review blog where I review different genres of books. 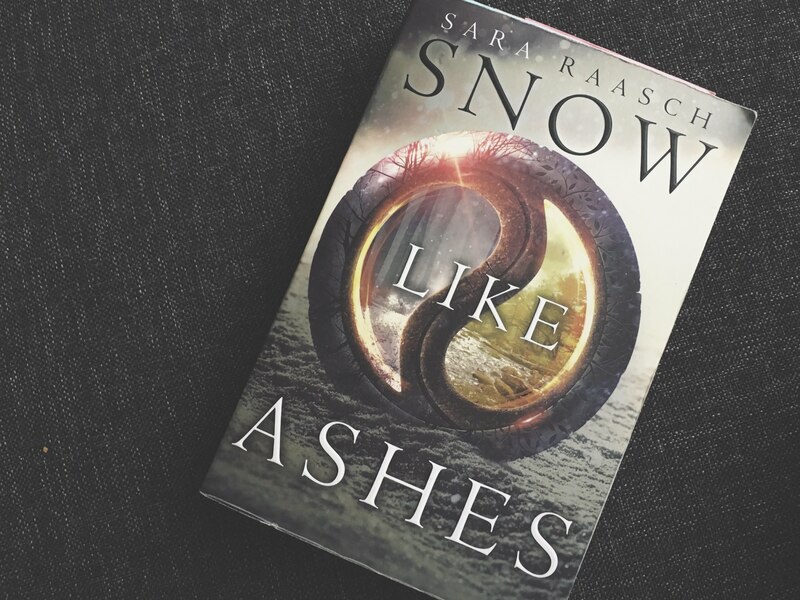 Snow like Ashes is the first novel in a new series by Sara Raasch where different societies are separated by seasons. Not districts. Not class levels. Seasons, like winter, autumn, spring and summer. And it’s very refreshing. And I love that our main character is from Winter. It reminds me of Frozen, and it also reminds me of many glorious fantasy novels where they’re fighting winter or they have to travel through horrific cold conditions to complete their task/mission. The main character, Meira, is fantastic. She’s confident, daring, bold and she knows what she wants. This isn’t exactly unique in YA fiction, because I’m reading more and more novels where writers are finally giving their female lead character a bit more backbone. There aren’t many Bella Swan’s in YA dystopian fiction, thankfully. Meira also knows how to handle a really shite situation where she’s been betrayed. There’s a particular scene where her love interest and father figure betray her (quite horribly) and she acts accordingly. She knows how to get what she wants and she doesn’t give second chances. I’m looking forward to reading Ice like Fire (the second in the series) because there were romantic links between Meira and Mather and also Meira and Theron, and these remain unresolved at the end of the novel. This leaves it open to be further explored in the second novel. Also, Meira’s magic powers and her link to the kingdom in Winter is also expected to be developed further in Ice like Fire. Despite the fact that it took me a good 50 pages to fully understand the premise of the story, and also to understand which character is which (I got confused with all the names in the first few chapters), I do think this book is wonderful.